After the Roman era, the oldest inhabited area of Trastevere was grouped around the piazza in Piscinula, using the river as a primary source of economic and commercial activity. 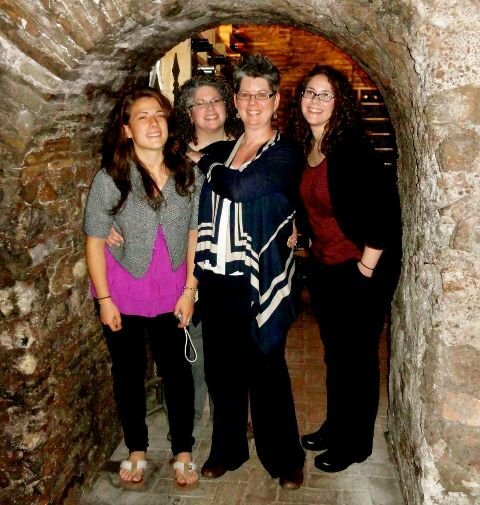 At this time there was a significant Jewish presence and, before the community moved to the left bank of the river Tiber, several synagogues were founded. Among these, this building in Vicolo dell’Atleta has been positively identified as the one founded by the lexicographer Nathan ben Jechiel (1035-1106). It was located in a beautiful medieval house with a loggia and arches and, on the base of the central column, hebrew characters are still visible carved into the marble. The ancient name of the alley, Vicolo delle Palme, where the house is situated at no. 13 and 14, seems to have been derived from the fact that it was here that some palm trees were planted in memory of Judea. This statue is a Roman copy, in marble, of the original in bronze by the Greek sculptor Lisippo (4th century BC. ), which originally stood in front of Agrippa’s baths, near the Pantheon. This marble statue is now in the Vatican Museum. Apoxiomenos was not the only discovery that emerged during the reconstruction. 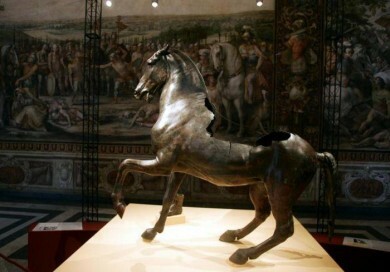 In addition a room with painted walls and niches, parts of bronze statues and a horse, also in bronze, were found. This last is thought to be a Greek original from the classic era, part of an equestrian monument made by Lisippo at the request of Alexander the Great to honour fallen officers in the Battle of Granico. This work of art was taken to Rome by Quinto Cecilio Metello Macedonico and placed near the Portico of Ottavia. It is now stored in the Capitol Museum. In the heart of the house, an ancient, deep well is still visible, which taps the waters of some subterranean streams. 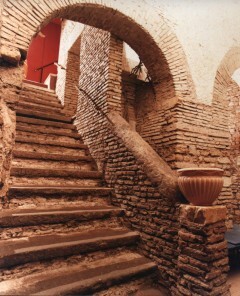 During its several centuries of existence, this house has been used for various purposes: it has been a synagogue, a convent, a foundry, a private residence, a warehouse, and is now a restaurant where, in addition to enjoying good cooking, you can visit the basement where the floor level is the same as in Roman Republic times. Here the ancient walls and arches made from Roman brick are visible. These remains are in the keeping of the Archaeological Superintendent. Apoxyomenos (the "Scraper") is one of the conventional subjects of ancient Greek votive sculpture; it represents an athlete, caught in the familiar act of scraping sweat and dust from his body with the small curved instrument that the Romans called a strigil. The most renowned Apoxyomenos in Classical Antiquity was that of Lysippos of Sikyon, the court sculptor of Alexander the Great, made ca 330 BCE. The bronze original is lost, but it is known from its description in Pliny the Elder's Natural History, which relates that the Roman general Marcus Vipsanius Agrippa installed Lysippos's masterpiece in the Baths of Agrippa that he erected in Rome, around 20 BCE. Later, the emperor Tiberius became so enamored of the figure that he had it removed to his bedroom. However an uproar in the theatre, "Give us back our Apoxyomenos", shamed the emperor into replacing it. The sculpture is commonly represented by the Pentelic marble copy in the Museo Pio-Clementino in Rome, discovered in 1849 when it was excavated in Trastevere (illustration, right). Plaster casts of it soon found their way into national academy collections, and it is the standard version in textbooks. The sculpture, slightly larger than lifesize, is characteristic of the new canon of proportion pioneered by Lysippos, with a slightly smaller head (1:8 of the total height, rather than the 1:7 of Polykleitos) and longer and thinner limbs. Pliny notes a remark that Lysippos "used commonly to say" - that while other artists "made men as they really were, he made them as they appeared to be." Lysippus poses his subject in a true contrapposto, with an arm outstretched to create a sense of movement and interest from a range of viewing angles. Fresh products and ancient recipes. From research to the kitchen. From the laboratories of virology to the stovetops. Eliana Catalani left an international career, after 37 years along side the Nobel Prize winner Rita Levi Montalcini, to pursue her vocation as a refined and sophisticated gourmet chef. 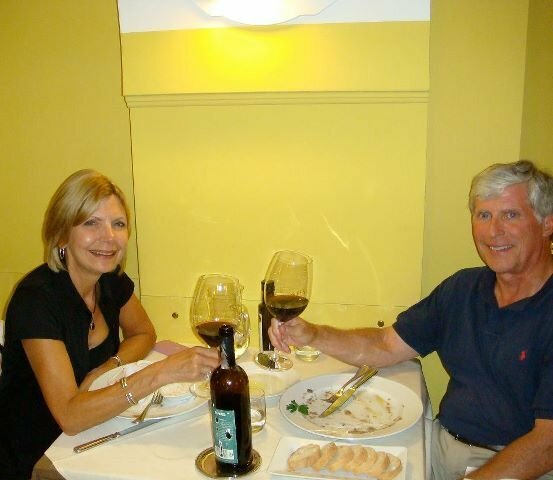 At the helm of the restaurant Spirito Di Vino, on via Dei Genovesi, in the heart of ”old” Trastevere, Eliana Catalani began with a passion inherited from her father. 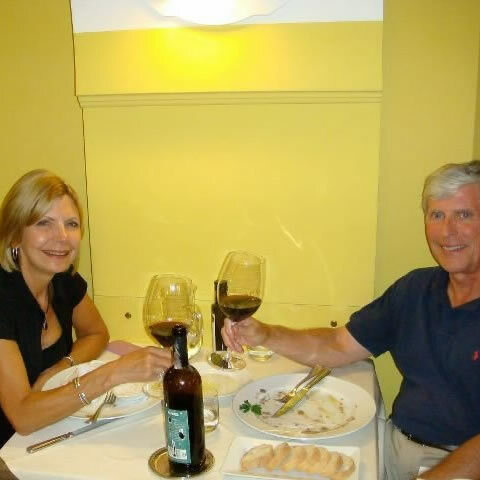 She is joined by her husband Romeo (who artfully describes the menu) and her son Francesco, who oversees the cellar that houses over 800 wines. 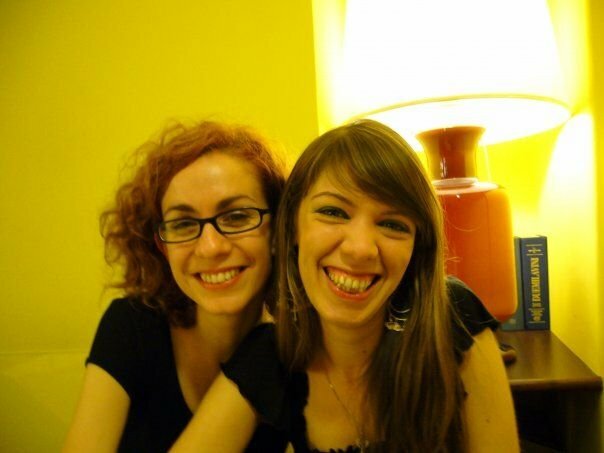 "Cuisine has much in common with my work as a researcher and lab technician," she explains. "When I plan an experiment I need to know which tools, components, materials are available to me." ”The laboratory organization is similar to the preparation of my dishes, made with what I define as an almost scientific criteria. The reproducibility, repeatability, standardization of the products is of utmost importance. Each product, in fact, must be observed, studied, as if in front of a microscope. There has to be in every dish," adds Eliana Catalani, "a logical structure, especially when making sweets and desserts. The recipes should always be the same, including flavors, even though we don’t exclude variables." "The objectives in the kitchen are immediate however, unlike in the scientific universe. Immediacy is rare in science and research," explains Eliana Catalani. "A challenge that protracts itself in time, unlike in hospitality, is often subject to the opinions of experts, the publication of charts, and to detailed studies." She began in the pediatric clinic at Policlinico Umberto I in collaboration with Rita Levi Montalcini, whom Eliana Catalani accompanied to Stockholm in 1986 to receive the Nobel Prize for Medicine. 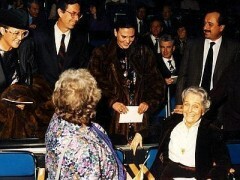 And Eliana remembers Montalcini as a great cook. "Her specialty? Chocolate sweets and coffee and zabaglione ice cream. And then I remember that she enjoyed very much organizing snack time for our children. Unforgettable afternoons." 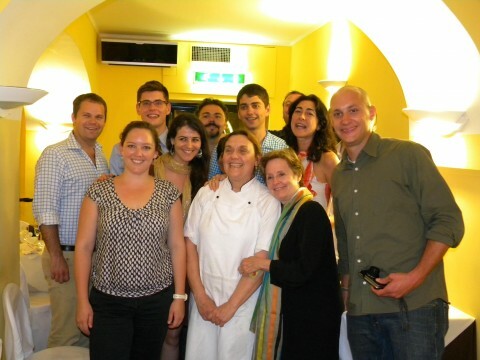 "But – let's not forget– us assistants and collaborators also cooked for Professor Montalcini. Christmas was a fixed appointment for one of my cult dishes. I prepared a Crock pot roast, of course in a clay pot made by a craftsman from Petralli, in an ancient Etruscan oven dug into the tufa rock. Prosciutto, bacon, beef seasoned with celery, onions, thyme, bay leaves, salt and pepper and left to cook for 6 hours on two different days. 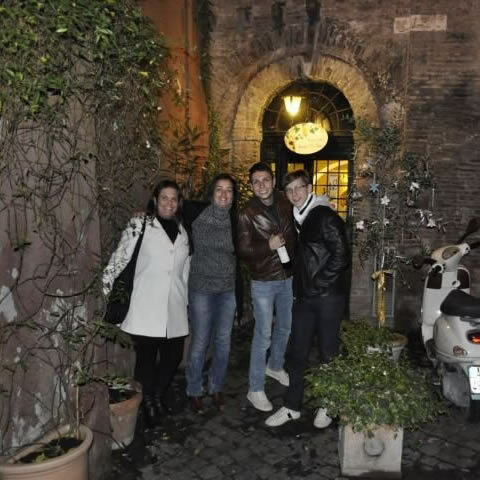 It was a must during Christmas at the home of Professor Montalcini," the Roman chef explains, "next to the pork shin and the Calabrian cod prepared by two colleagues." 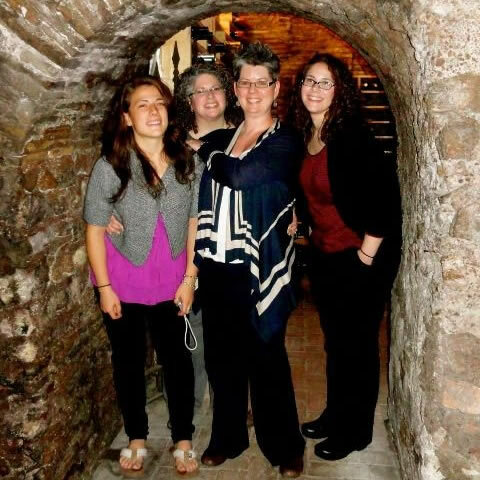 The same passion, the same self-sacrifice, even after many years, drives Eliana Catalani in the restaurant business. The cult dishes of Spirito Di Vino include: chickpea crepes with codfish sauce; veal meatballs with ginger; clafoutis of artichokes; and basil-scented ratatouille. Also, the lean pork “Mazio” style - an ancient recipe from the Rome of the Caesars; liver pate tied to traditions of Jewish descent; and a spaghetti with minced caper sauce from the island Li Galli. The chef of the restaurant in Trastevere wanted to dedicate this dish to John the young fisherman, who lived with the Massine family, who was one of the best choreographers and dancers of the 1900s and star of the Ballets Russes of Diaghilev, and to the little island which later was bought by Rudolf Nureyev. "I do not deny that I love experimenting with food," says Eliana Catalani, "but above all, I want to make the kitchen, each recipe, each dish live as if it were a story. Instead of words, the scents, smells and tastes do the storytelling. Of course, all my dishes change with the seasons with some preferences," she adds. "I love black cabbage (kale). In soups, pies, with bread, leeks and radishes. A typical excellent autumn dish is mushrooms, possibly those of Lake Bracciano or Bolsena, or of Monti Cimini, with legumes of all kinds and varieties." The cost for a meal at the restaurant goes from 30 to 60 euro per person. Everything you eat here is homemade, from fresh tomato sauce to jams, compotes, syrups and all the sauces that accompany the dishes, from appetizers to desserts. Our eggs, our Fassona meat, cheese are purchased directly from producers, and they are all Slow Food Presidium. We cook exclusively with olive oil 100% Italian from Calabria. We go every morning to buy fresh product directly in the markets, couse choose makes the difference. We buy organic food only, 100% NO OGM. We never use frozen ingredients, we don't fry anything and we don't serve pre-cooked. 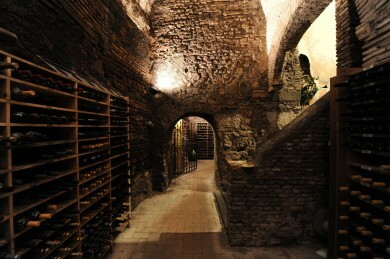 The restaurant is a member of Alliance between the Italian Chefs and Slow Food. Only the Chef, Eliana Catalani, prepares the meal. 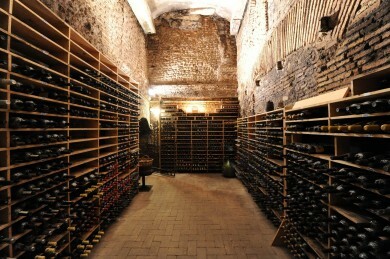 In the cellar there are 5000/7000 bottles around. 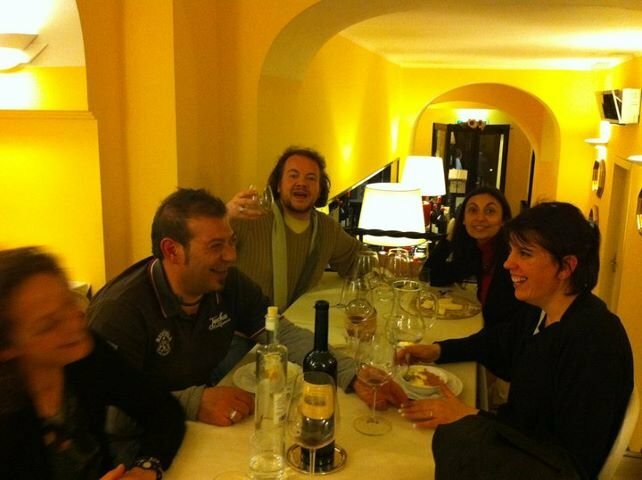 The restaurant is a member of association between Italian Chefs and Slow Food. 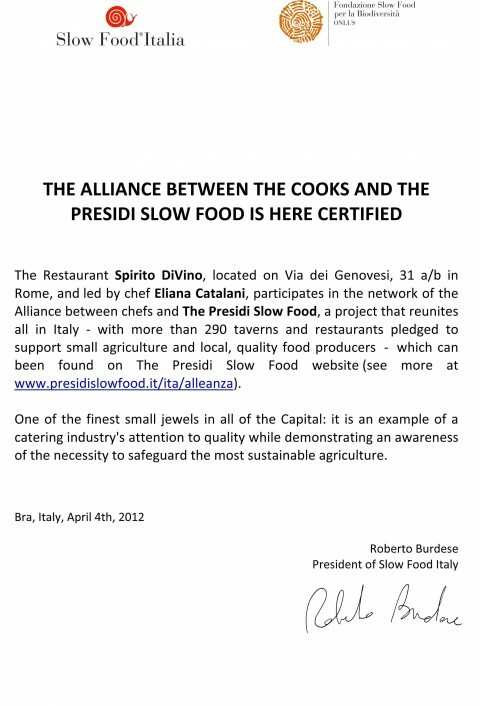 We use many products from Slow Food Presidia. 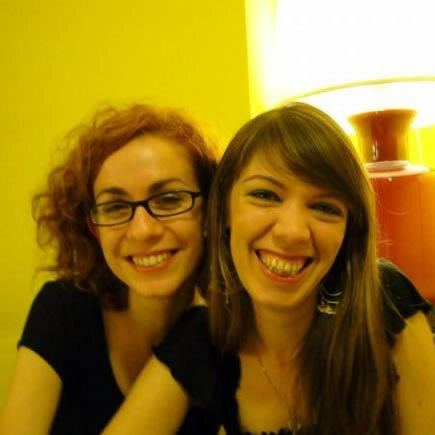 The restaurant supports the project of Slow Food Terra Madre with donations. 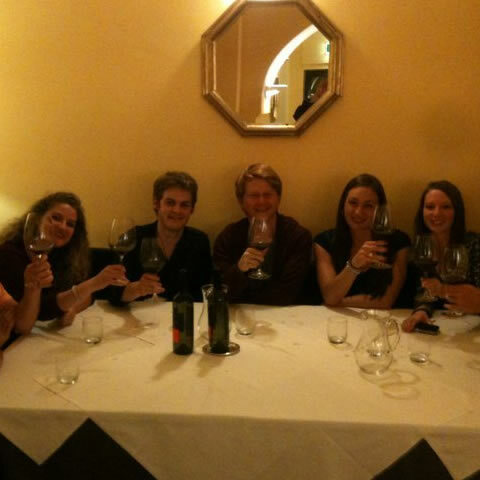 Some photos from our Guests. A beautiful way to remember their staying in Rome with us. The restaurant is open from Monday to Saturday, from 7:00pm to 11:30pm. 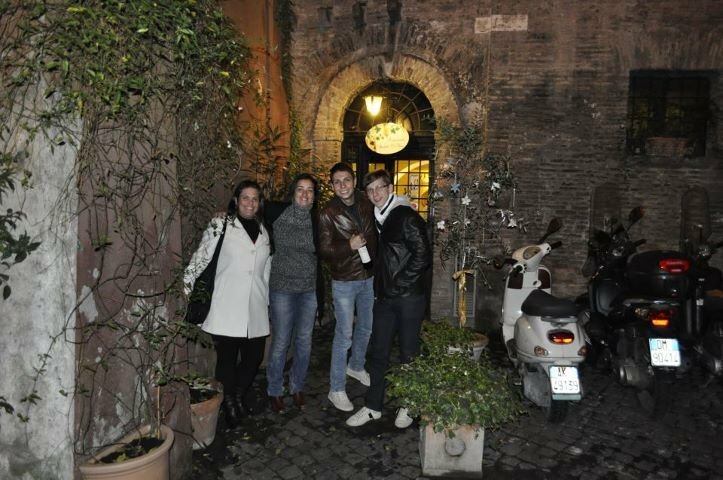 Via dei Genovesi 31 a/b - Trastevere, Rome. 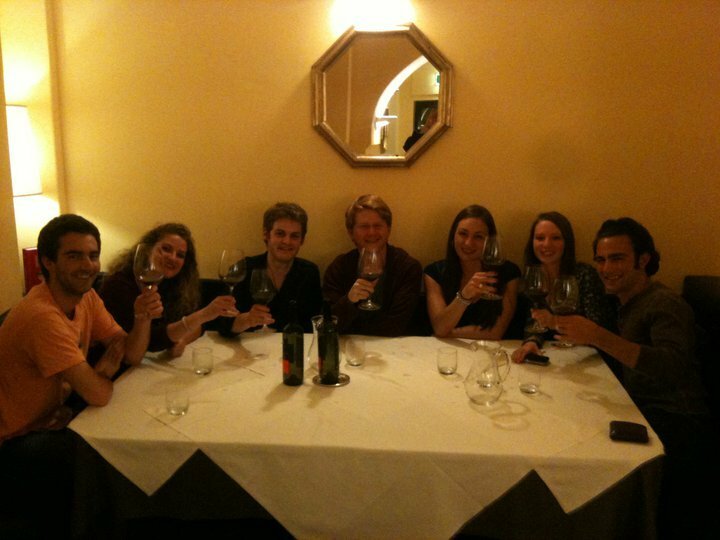 "Last night in Italy at our favorite restaurant Spirito DiVino feasting on ancient recipes dating back to Caesar. La dolce vita." October 1th, 2011 ... Thank you Rachel for everything you do for us. © 2017 Spirito DiVino, All Rights Reserved. Web Site by Cantieri Informatici S.r.l.